Bootleg Blondie [Debbie Harry and Blondie Tribute Band) Official - 1st June 2019!!! 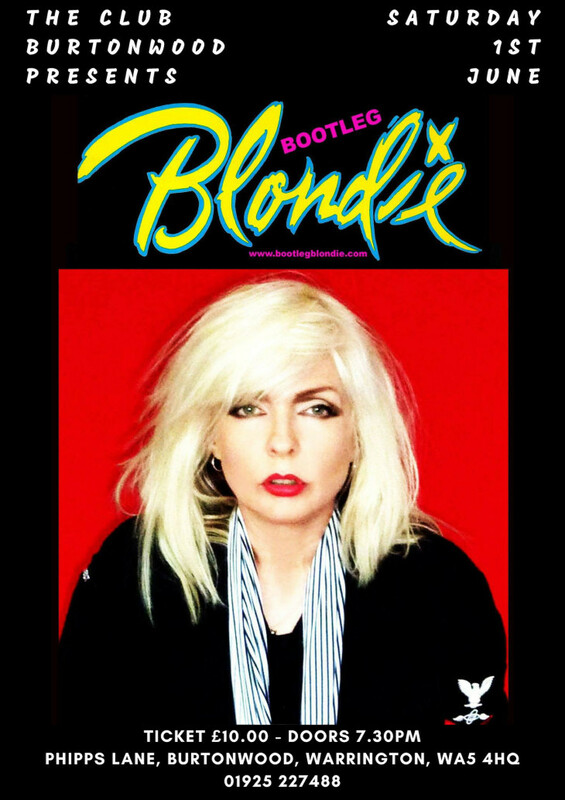 We're delighted to welcome the amazing Bootleg Blondie to The Club on Saturday 1st June! Possibly the best tribute act out there today. Singer Debbie Harris (yes) is such an aficionado that people struggle to believe that this band are indeed a tribute. You will be blown away by flawless renditions of Heart Of Glass, Call Me, Hanging On The Telephone and much more.